Fernando de Noronha is the ideal Honeymoon destination for you to spend unforgettably romantic days in a natural environment of outstanding beauty. This archipelago of volcanic origin, far off the coast in the Atlantic Ocean, awaits newly-weds with unspoiled beaches and secluded bays, and is home to an incredible variety of maritime wildlife, including whales and dolphins, sea turtles and countless species of fish and birds. During your Honeymoon in Fernando de Noronha, the Pousada Maravilha will be your exclusive romantic retreat where you experience comfort and luxury in a familiar atmosphere and in harmony with the surrounding nature, staying in one of only five bungalows and three apartments which will be especially decorated for you. Enjoy five star services and amenities, including spa, sauna, massages and fitness center. With this special Honeymoon Travel Package in Fernando de Noronha, the Pousada Maravilha will welcome you with Champagne and a relaxing massage. Enjoy your first sunset on the island on an exclusive yacht in front of Conceição Beach. 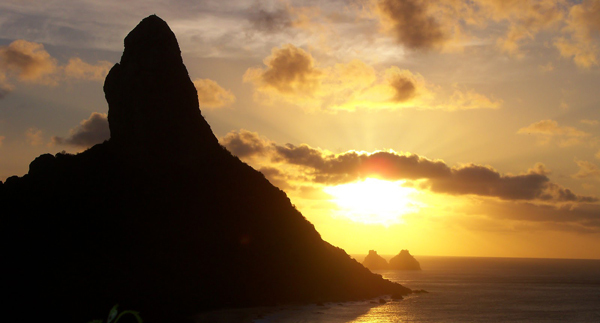 Explore Fernando de Noronha on your Island Tour, dive with dolphins, surf or relax during the day, and watch the sunset in panoramic spots or during a private Candlelight dinner on the beach. If you wish, a professional photographer will accompany the most unforgettable moments of your Honeymoon in Fernando de Noronha.